Legacy team sites built using a subsite infrastructure. Until the changes announced in this update, organizations were only permitted to create modern sites as top-level site collections. With this announcement, Microsoft has introduced the possibility to have a modern subsite. The inability to create a modern team site without also creating an Office 365 Group. Some organizations have restricted the ability to create Office 365 Groups as part of their governance plan. Previously, if Office 365 Groups creation was disabled for a set of users, those users could only create “classic” SharePoint team sites. 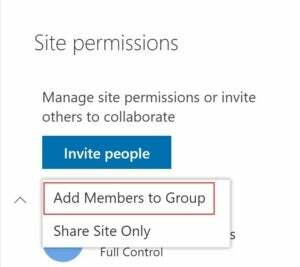 With this update, organizations can allow users to create modern team sites from the new site creation link on SharePoint home even if they are not able to create an Office 365 Group. The site that is created is a special new type of SharePoint team site that is basically similar to a classic team site (no shared inbox or group calendar) but with a modern home page, pages, and web parts. Since I can’t think of a better term, I’m going to call this a Non-Group backed team site. 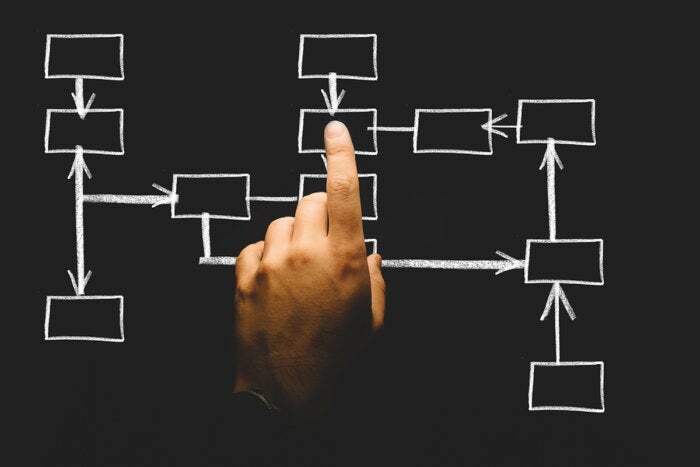 Here are a few things to note about the implications of these updates and what it might mean for your information architecture and governance plan. There is no shared inbox or email address for the members of the team site. There is no group calendar for the team powered by Outlook. There will likely be a modern Events list, but the Events list is a SharePoint calendar, not an Outlook calendar. Site Members and Owners should be able to create events just like on a communication site but team members will have to individually add each event to their personal calendar. There will not be a way to “invite” the entire team from the Events list in the “non-Group” team site. There is no Planner board configured for the team. There is no ability to associate the team site to a Microsoft Team to get the benefit of team chat and connectors. Every Microsoft Team gets a “Group-backed” team site — so it would not make sense to connect this type of team site to a Team via a connector because the team already has a place to work. From a Group-backed team site, you can add a Member to the Group or just the team site. This might actually be a good thing, since Group and team site permissions can be different — and that can be super confusing to explain to users. For example, you can add a member to the team site without adding them to the Group, which means the member gets to see documents but doesn’t get to use any of the other services associated with the Group. There are some special use cases where this makes sense, but in general, I always try to remind Group owners to add people to the Group, not just the team site associated with the Group. Many organizations have a history of subsites as part of their team site infrastructure — for example, a parent “portfolio” team site with subsites for each individual project. The best way to create this scenario in the modern SharePoint framework is to create a hub site and associate the related team sites. As Mark Kashman said on Twitter, “Hub before you sub.” But there may be use cases where for whatever reason, this is just not practical. For example, if the team needs to easily share a look up list or a content type. With this announcement, it is now possible to create a modern subsite. This update allows organizations to modernize their legacy nested team site families. I don’t love the idea of creating a subsite of a team site originally created with an Office 365 Group. I assume this will be possible, but the probability of messing up permissions seems pretty high, and if you are already comfortable with the concept of Office 365 Groups to empower teams, it just doesn’t seem like a good idea. Having a modern team subsite makes more sense if the parent site is a non-Group backed team site. But again, there may be some use cases. Though it might appear that creating a modern team site without an Office 365 Group is the same thing as creating a communication site — it’s not. Communication sites cannot be “group-ified.” In other words, they are designed for communication, not collaboration. The future for a communication site is just that — communication. A non-Group backed team site has a future state that can accrue the benefit of Office 365 Groups. In other words, it’s a way to baby-step your way to Office 365 Groups. Assuming that you will be able to “group-ify” this new type of modern team site (as you can with a classic team site), this announcement is a great way to give users the benefit of modern team collaboration experiences while the organization makes decisions about the best way to leverage or enable Office 365 Groups. Why? Because this is the easiest way to future-proof your team collaboration scenarios. Site collections beat subsites in the long term. Subsites may have a place today, but as hub sites mature and enable more scenarios (especially metadata sharing), subsites should become less useful. Avoid subsites if you can. Just because you can create a modern subsite doesn’t mean you should. As it says in the blog post from Microsoft, “Subsites give little room for flexibility and changes to the business across projects and teams.” For me, subsites have almost always started out great and then resulted in 99 problems!! Hub sites are designed to create site families just like subsites with one big difference: Hub sites are designed to change, and subsites are designed to stick. Love the ability to set the site language when you create the site. This is a great feature of the announcement — you can now select the desired language for the team site when you create the site. This is a hugely empowering announcement for global organizations. Organizations have choices — and with great choices come great responsibilities. It is still important to think about governance before you get too far down the Office 365 deployment curve. This means thinking about naming conventions, self-service, support for new site owners, etc. I’m doing the best I can to keep my SharePoint and Office 365 Governance Decisions document up to date as new announcements come out. It will get a comprehensive overhaul this summer. If you follow me on Twitter, you’ll see the announcement when I finish the updates. In the meantime, I’m constantly tweaking at the margins.